If you pedal all the routes described in this guidebook you’ll have under the saddle of your bike or e-bike an impressive amount of kilometres – counting both distance and difference in height. It will be a long journey, guiding you, season after season, from the 120 mt of the lowlands to the highest passes of Orobie, well above 2000 mt. Thanks to the GPS tracks and the detailed descriptions and maps you won’t get lost, and you’ll enjoy the pleasure of roaming through the images and the texts coming with the route essential details. Clear and effective graphic design provides all the relevant information on a spread page; the routes are grouped according to homogeneous geographic areas, helping you to select the best and more suitable route, being able to cycle in any season and to tackle gradually the most difficult proposals. 11 bike paths, for a total of 346 km, will allow you to bring your family and your kids with you; this network might also be used for lowlands transfers, to get back to the starting point. You’ll be spoilt for choice: many kilometres of dirt roads, trails, country roads are waiting for you. A big novelty of this guidebook is the chapter describing the bike lanes connecting Milan to the valleys and the lakes, towards Lecco and Bergamo: we highlight the importance of such a network, even if its signage could take advantage of some more clarity; it might be a very effective tool for increasing the awareness of sustainable mobility and tourism. Claudio Locatelli, born in 1958, lives in Brembate di Sopra (Bergamo) and has a very strong connection with Val Brembana, where he has established his “playground” after decades of ski-mountaineering and climbing on the Alpine Range. He’s a keen biker for a very long time, and an expert conoisseur of Orobie, having as well pioneered the Alp Bike practice. He’s the president of the Association of Mountain Biking Guides of Val Brembana; he often guides tourists and MTB enthusiasts, who contact the association for insights and advices. 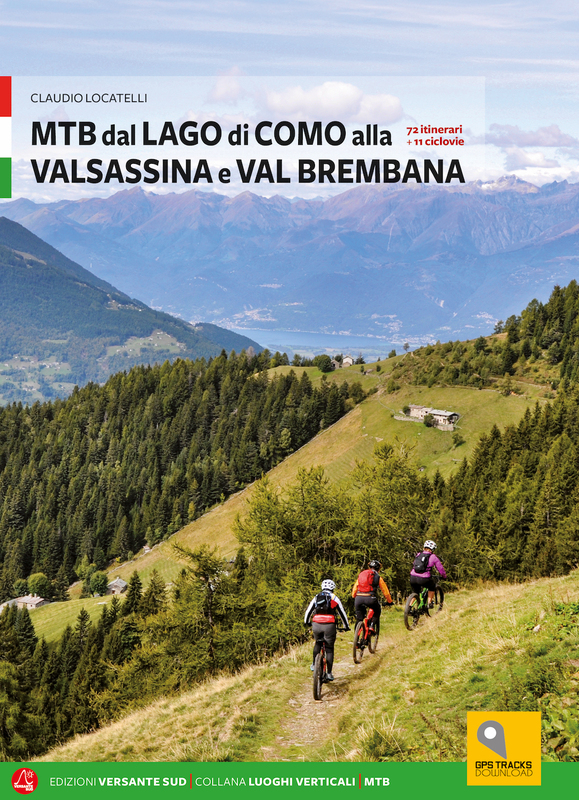 He’s the founder of Orobie Bike Fest, a MTB festival that takes place in June in Piazza Brembana (Bergamo). You can read more about him in the website he authored: www.mtbinvalbrembana.it, www.moonrider.it or on Facebook: Guide MTB Val Brembana asd.